Paul Cockshott, Lewis M. Mackenzie, Greg Michaelson. One of my research interests is unconventional computation: systems that use non-standard approaches to perform computation. This is partly in the hope we might find something more powerful that we already have, but mostly because it is more fruitful to examine an upper limit barrier from both sides rather than just from below. It is, unfortunately, a research area where a lot of nonsense can be heard, often because researchers from one discipline extrapolate their results incorrectly in another discipline. 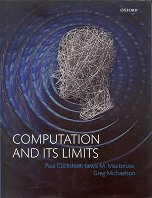 So it is very refreshing to see a book that examines many of these issues, explaining precisely where the problems in many proposed unconventional computers lie. It covers many topics, and is essentially discussing the difference between proposed computational models and the constraints of the implementing physics. Many (all?) unconventional computational models are simply unphysical, in a range of different ways. The discussion starts with mechanical computers, going all the way back to the ancient Greek Antikythera mechanism, a special purpose astronomical computer. As well as the usual discussion about gear ratios, and so on, the authors provide a fascinating speculation about why the Greeks preferred to model eccentric circular orbits rather than elliptical ones: it made their computers easier to build! p33. It is easier to construct an eccentric coupling … than it is to make a direct mechanical implementation of Kepler’s law. The choice of model proposed by the Greek astronomers to explain the lunar orbit may thus have been influenced by what they could feasibly build into a computer. Appollonius of Perga, who proposed the eccentric model for lunar orbits, also developed the theory of ellipses in his work on conic sections, so he would have been well equipped to propose ellipses as a basis for orbits. The preference of the Greek astronomers for circular motions might have been influenced by a concern for mechanization. pp.84-5. In an actual analogue computer, these operators have to be implemented by some apparatus the effect of which is analogous to that of the mathematical operator. The analogy is never exact. Multipliers turn out to be only approximately linear, adders show some losses, and so on. All of these mean that even if the variables were perfect representations of the abstract concept of real numbers, the entire apparatus would only perform to bounded accuracy. I repeat: The analogy is never exact. There is also a lot of excellent discussion of thermodynamic limits, and quantum limits, and systems that demand Newtonian physics in order to display their promised properties. Finally, the authors take some specific hypercomputer proposals, and dissect them, showing where they break down. This book should be read by anyone proposing a new kind of unconventional computation. It will stop them falling into some of the most common errors.